Bolgheri, home to the prestigious “Super Tuscan” wines, sits in the heart Maremma, a breath taking coastal region in Southwest Tuscany. Bolgheri rose to prominence during the last half of the 20th century and gained D.O.C. status in 1994, producing some of the world’s most expensive wines. Your private driver from Italy’s Best will pick you up from your accommodations to embark on your full day Tuscany wine tour. The rolling Tuscan hills and spectacular countryside give way to vineyards that extend all the way towards the horizon as you ride along cypress tree lined Via Bolgherese to arrive at Bolgheri. Explore this small, charming town and browse the artisan shops selling local food and wine specialties, and see the eleventh century castle that still belongs to the Gherardesca, a noble family. 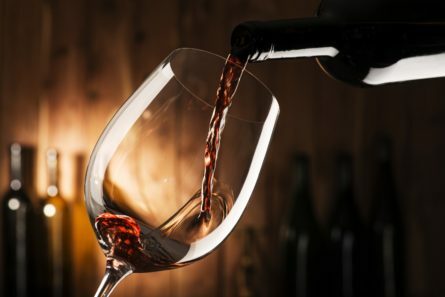 Next stop is a renowned Super Tuscan winery where your private expert guide will give you an overview on these superb wines, the winemaking process and viticulture guidelines. Stop for lunch at an authentic trattoria in the gorgeous medieval hilltop hamlet of Castagneto Carducci where you’ll have a view of the crystalline Tyrrhenian Sea on one side and sprawling cabernet vineyards on the other. Following your lunch, you can visit a second winery. Or if you prefer, take a walk along the coast and inhale the fragrance of the coastal pine groves. At the end of the day, your private driver will bring you back to your accommodations.